Normal sweating in the underarms can be managed with over-the-counter deodorants and antiperspirants. But if you sweat more than normal, you may have a condition called hyperhidrosis. Hyperhidrosis, or excess sweating, is characterized by abnormal sweating that is uncontrollable and often unpredictable. While this condition typically begins in childhood or adolescence, treatment can be sought at any age. Hyperhidrosis treatment usually involves a combination of prescription-strength antiperspirants and medical treatments designed to control or block excessive perspiration. Your first defense against excessively sweaty underarms is the use of a powerful antiperspirant. Unlike deodorants which reduce odor by limiting bacteria, antiperspirants clog or block the pores to prevent you from sweating. If purchasing over-the-counter, stick to clinical-strength products which are typically stronger than normal antiperspirant. Many people with hyperhidrosis sweat in areas other than their underarms. Aerosol antiperspirants are useful for managing sweaty feet. Combat sweaty hands with antiperspirant wipes or hand creams. If your OTC product isn’t cutting it, consult with your doctor about a prescription-strength antiperspirant. Botulinum toxin, more commonly referred to as Botox, is a highly-effective excess sweating treatment. Botox is FDA-approved and starts working almost immediately. When botulinum toxin A (the same treatment used to treat wrinkles) is injected into the skin, it prevents the release of a chemical messenger that signals the sweat glands to activate. While Botox is not a cure for hyperhidrosis, it is a highly-successful skin treatment. Singapore clinics like Cutis Medical Laser Clinics offer Botox as an anti-aging and wrinkles treatment, in addition to an excess sweating treatment. Singapore is also where you’ll find skin specialist Dr. Sylvia Ramirez who has more than 20 years of experience in her field. Up until recently, most patients suffering from hyperhidrosis were limited to antiperspirants and medications. 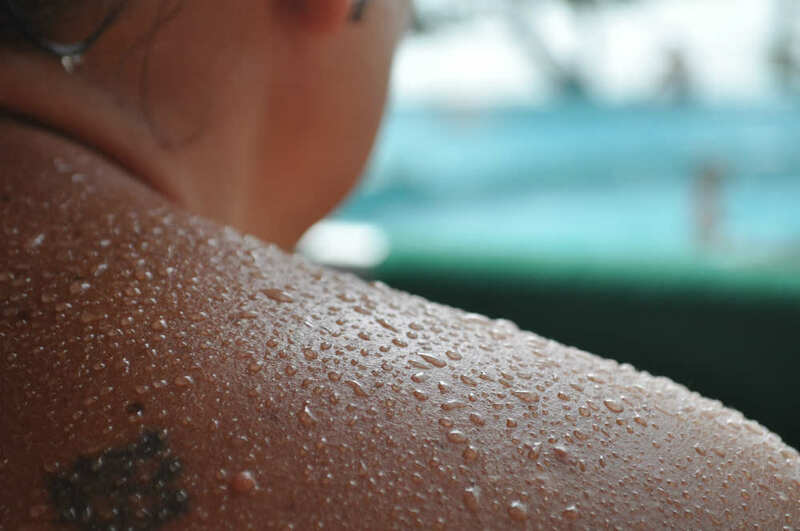 With the growth of Ultherapy, hyperhidrosis patients are now able to manage their sweating without resorting to the use of long-term drugs or risky surgeries. Ultherapy Singapore sweat reduction treatments are safe, non-invasive, and can permanently reduce the amount of perspiration excreted from the underarms. Ultherapy uses a safe and controlled ultrasound energy penetrating the deeper layers of skin to heat the sweat glands and deactivate it. There is no recovery time and the treatment is performed under local anesthesia, making it comfortable for patients. If antiperspirants and other treatments fail to work, some people turn to medications to manage their excess sweating. Certain prescription medicines, such as anticholinergic drugs, work well to cease sweating by stopping the activation of the sweat glands. However, these drugs are not for everyone as they can cause negative side effects like heart palpitations, blurred vision, and urinary problems. If you’ve been diagnosed with hyperhidrosis, you’re not alone. According to the International Hyperhidrosis Society, approximately 367 million people suffer from uncontrollable, excessive sweating. At Cutis Medical Laser Clinics, we offer a variety of non-invasive treatments to help you better manage your condition. We also offer other aesthetic treatment options, such as skin tightening treatments and a sagging skin treatment, so that you can look and feel great. Contact us today to see how we can help you with your skin and aging concerns.